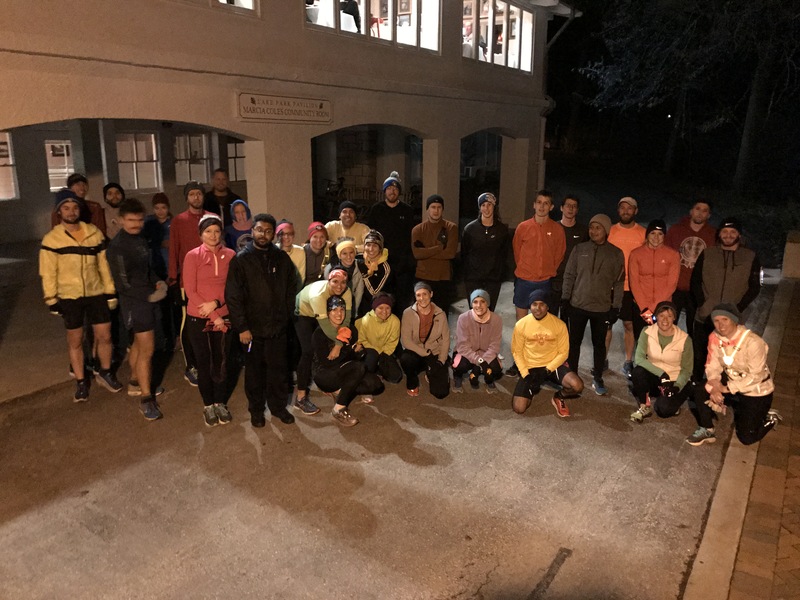 The Milwaukee Running Group – OMG is the only Milwaukee area running club offering daily runs or workouts 365 days a year. On Monday, Wednesday, and Thursday we have morning and evening runs. We run in all weather. We have only cancelled runs twice in the past three years due to dangerous conditions (severe lightning). The most up to date daily running schedule can always be found on the Meetup.com – Calendar Page for OMG. The information below is an overview and subject to weekly changes. We run anywhere from 2-4 miles beginning at Atwater Park in Shorewood. Routes vary each day. If this is your first time ask for Laura. We’d be happy to explain all the options and do our best to match you up with someone your speed and distance. The pace of this run is slower but faster pace runner are most welcome. We run anywhere from 2-8 miles beginning at Lake Park Bistro Pavilion. Routes vary each week. All routes have a shorter / slower option if that’s what you need. If this is your first time, ask for Patrick, Clint or Kaitlyn. We’d be happy to explain all the options and do our best to match you up with someone your speed and distance. There are always a multitude of pace groups ranging from glacial, turtle, slow, medium, average, fast, age-group-place-contender, and Olympian. We don’t judge (unless you don’t show up). After the run we meet back at the Pavilion to do core exercises, stretch, socialize, and answer Kaitlyn’s trivia questions. Most Mondays we go out for a “Great Meal” which is described next. Most Mondays we go out for a “Great Meal” after the run. We look for (and find) inexpensive high quality cafes and grills. The venues have to offer at least a few entree’s that cost less than $10 to qualify. Beer on tap is not strictly required, but his looked on most favorably. Look for the destination each week on our the Meetup Website and our Facebook Page. Also see our Great Meals Page on this website for ratings and reviews of the places we’ve already visited..
We do 60 minutes of Plyometric, Yoga, or Pilates exercises in the gym in the basement of Northwoods. 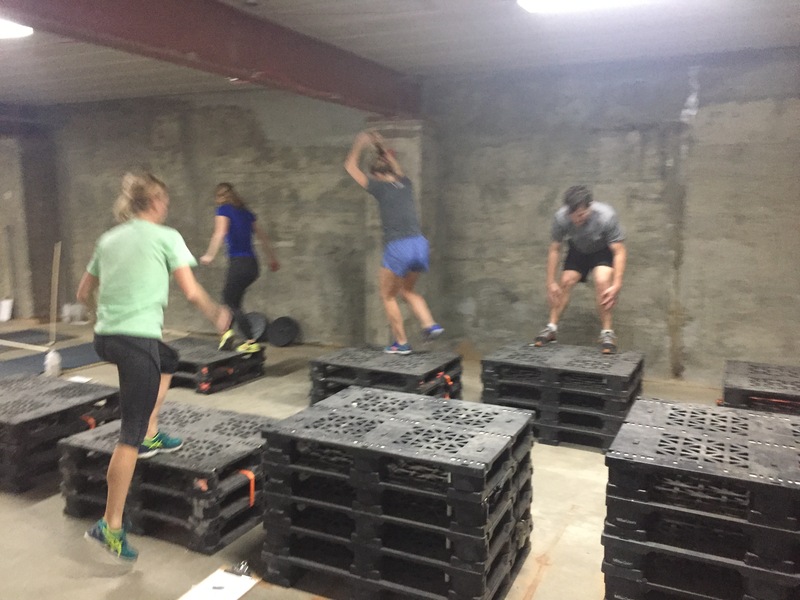 Plyometrics are a form of leg strength training good for all sports including running. We start with group exercises then a series of hurtle and jump exercises. This workout is designed to make your legs and joints stronger. We switch each month to Yoga and have a very popular program designed for runners by runners. version of standard track workouts. One option: Two slow warm up laps then repeats of: 100 meters fast. 300 meters very slow or walking. Eight repeats. That’s it! FYI, a lap is 400 meters. Faster Runners: Typical paces of OMG members range from 6-10 minutes per mile. Someone your speed will be there. Some weeks we do 800s. Other weeks ladders, yassos, or 1200s. There are 211 variations of track workouts so bring your own to share or find someone your pace and do what they’re doing. We run anywhere from 2-4 miles beginning at Atwater Park in Shorewood. Routes vary each week.If this is your first time ask for Laura. We’d be happy to explain all the options and do our best to match you up with someone your speed and distance.The pace of this run is currently slower but the group is ever growing so faster pace runner are welcome. When evening temperatures sustain above 60 degrees — usually by late May — we switch to South Shore Park where we run a 3-10 miles “out and back” along the Oak Leaf Trail. it’s fun because we see each other along the trail no matter your speed or distance. Arriving late? Run south on the Oakleaf Trail until you see an OMGer and then join up. We run the same route every Wednesday. 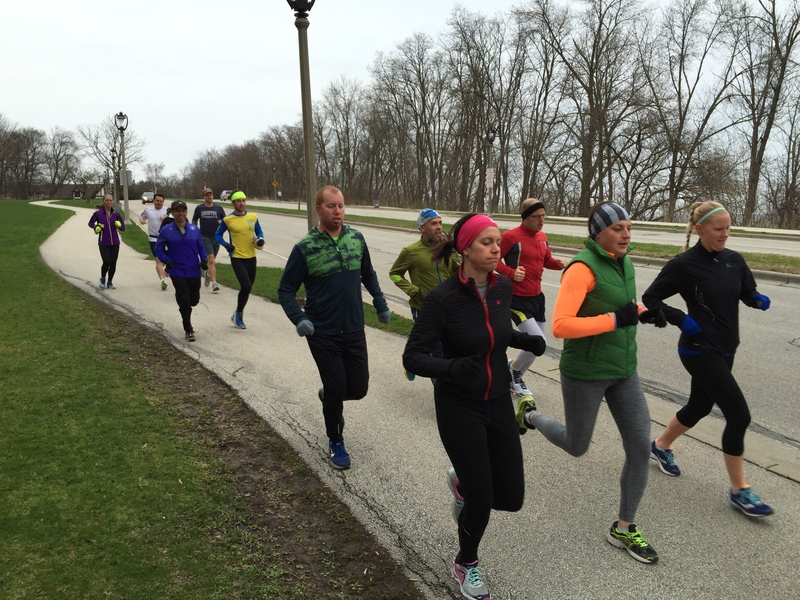 South Shore Park runs start when it gets warmer. Check our Meetup page for daily schedule updates. After the run if the weather is fair we hang out in the park across from the pavilion. OMG brings a cooler with beer, water, and gatoraid. Members are encouraged to bring their favorite beer to refill our cooler. All are encouraged to bring a snack or dessert (or something healthy) to share. If the temperature is cooler or raining we’ll hang out in the South Shore Park pavilion after the run. Can’t make the run? Come and hang out with us anyways. Our weekly picnic starts around 7:00. All speeds and abilities welcome. We alternate the location of hill workouts each Thursday between Atwater Beach and Colectivo. Check our Meetup Page for this week’s location. Atwater Beach Workout: This is the hardest workout we do. We jog down the path to the beach then run back up. Recover for a minute. Then down the steps to the beach and back up. Repeat. It is a great hard workout. And it doesn’t take very long. 30-40 minutes typically. We do 4 – 10 repeats. Before we start we do a slow warm-up run of 1/2 to 1 mile. There is a bubbler (fountain for you not native to Milwaukee) for water and porta-pottys at the top of the hill. Come get out of the cold and join us at the Pettit center for some speed work! All ability levels are welcome. Come with a workout in mind or just come and run laps around the indoor track with us. The cost to get into the Pettit Center is $3 if you are a Badgerland Strider Member, or $4 if not. Either way, it’s a good deal. We all start together then split into groups of similar speeds and distances. After the run we meet back at the Pavilion to stretch, socialize, and compare notes on beers, music, movies, TED talks, and the price of gas these days. Most of us would not know what to do with ourselves on a Saturday morning without an OMG run. Join us for as many miles as fit your plan..
New to trails or a trail runner of all seasons?!? We want YOU to come run some TRAILS!! We meet in the Evergreen Parking Lot, which is the first lot on the right. We typically run about 7 miles. If you want to run fewer miles, you can turn around at any point. If you want to run further, you can tack on some miles before or after our 8:00 run. It is a state park, so you need a park sticker or day pass, which you can buy as you enter. Buying a sicker is a good deal if you plan on going to a state park more than 4 times within the year. We always have a 5 minute grace period, so we’re off and running by 8:05. If you know you’re running a little behind, just post on this page and we’ll know to wait for you. We’d hate to leave anyone behind! Brunch afterwards if the group would like! We can plan occasional field trips to other trails in the area as well! The hardest part of running with OMG is showing up for your first run. Everyone says the same thing…. 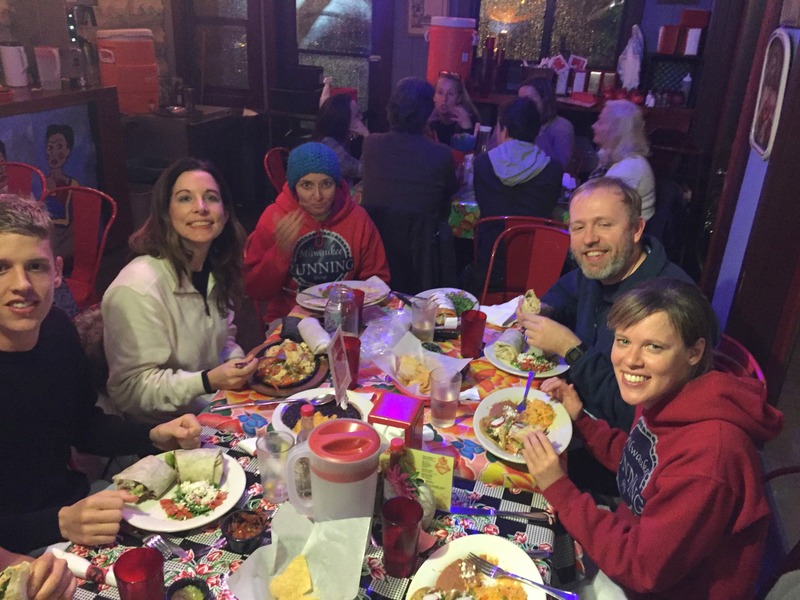 “I hesitated to come to your runs because I didn’t know anyone, and I thought I’d be too (fast/slow) for the group.” Our advice: Take a deep breath, swallowed your fears, and sucked it up! You will be pleasantly surprised. We’re welcoming and friendly. Look at our Photo Gallery! Running Group gathers in front of Milwaukee’s Colectivo restaurant at the lake front. Click on the “Join” link on the top of the page for full details of how to join our group.